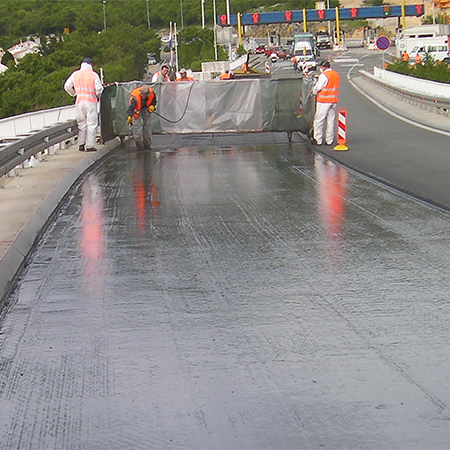 KRK Bridge in Croatia has been waterproofed with ALCHIMICA’s products during renovation works. 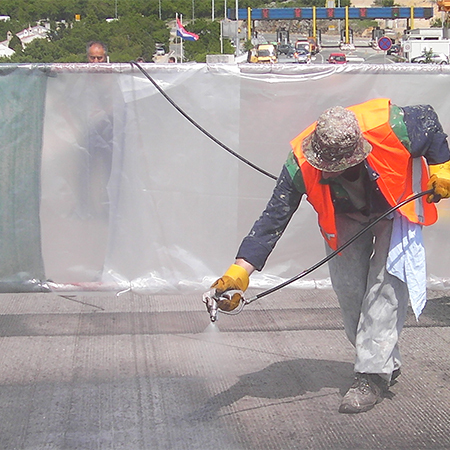 Fast curing UNIVERSAL-PRIMER-2K-4060 has been applied over the concrete and HYPERDESMO-PB-2K, 2 component, polyurethane extended bitumen waterproofing membrane, completed waterproofing application. 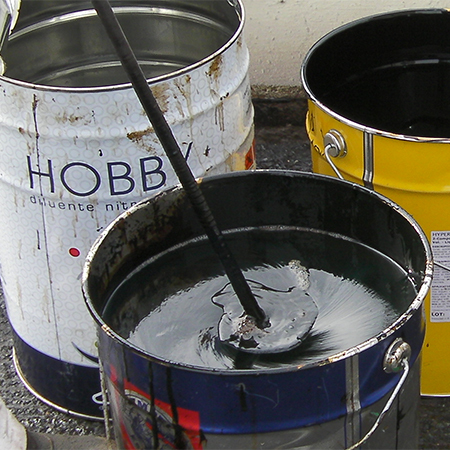 Then, the new asphaltic concrete has been applied.